Obsession can be a very irrational thing, driving you towards something you think you want – even when you know there are better things to be had. The first Ducati I was really aware of was the 851. The neighbour of my best mate had one, and incredibly he commuted on it daily, and parked it outside his house all year round, whatever the weather. The noise stirred my soul though – I knew I wanted one. The 888 did nothing to put me off, and by the time the 916 was released, I was spending more time thinking about Ducatis than anything else. The only spanner shaped thing in the fulfilment of my desires was a significant lack of moolah. 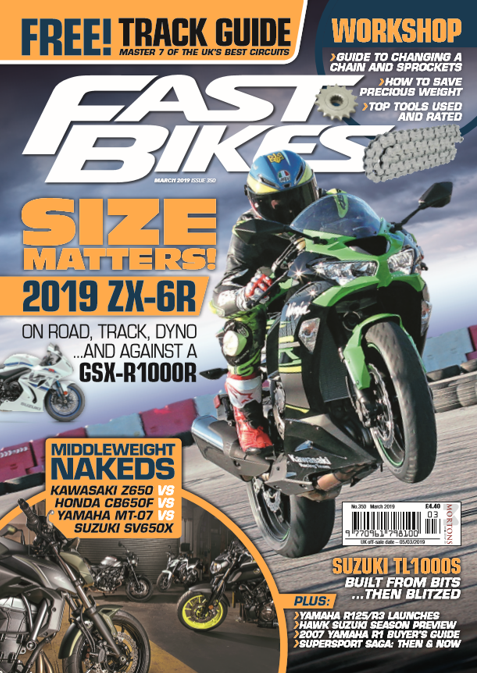 I came close to getting my hands on my first Italian in 1997, but the fear of reliability issues and endless bills eventually got the better of me, and I bought a Yamaha TRX850 instead – yes, the poor man’s Ducati 900SS of the day. It wasn’t until years later that I finally got to ride a Ducati – and felt the crushing tide of disappointment wash over me. I was lucky enough to ride a flurry of Ducati models, each one leaving me no more excited than the previous one had. The 998 was the only salvation, but the allure of Jap fours with their effortless power, smooth delivery, bulletproof reliability and easy handling was too strong. I’d fallen out of love. 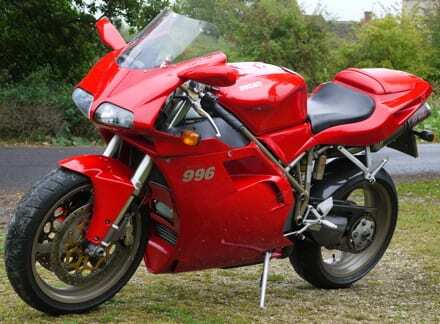 After of few years though, the clinical supremacy of the Jap fours was beginning to leave me a little cold, and the tangible soft spot I had for the overwhelmingly unpopular 999 was doing a good job of keeping a spark of admiration alive for the red brand (yellow Ducatis don’t exist to me). And then, a couple of years ago I bought my first Ducati, a 900SS – the bike I’d nearly bought in 1997. It was, in almost every way, the lowest performing Ducati I’d ever ridden, and yet I loved it. The light weight, nimble handling and thumping 2v motor conspire to hurtle you down the road with surprising pace, a full aural assault, and great emotion. Ever since I fell back in love, I’ve been hankering after more – and the 916 family has always been at the front of the queue for my affections. Eventually you have to give in, too. So I’ve been hunting for a few months now, but nothing has quite felt right enough, or affordable enough, to make me hand over the cash. But that changed this week after I appealed for a good clean bike at a good clean price via our Facebook page. Only one reader offered their Ducati up for scrutiny, so I headed down into Dorset in our Primastar, armed with a wad of cash. And as if by fate – it passed the test. So I’ve finally got a 996 – the last of the desmoquattros before the 998 commenced the Testastretta family. It’s an early one too – chassis number 80 to be exact, registered in early October 1998. It’s not immaculate, but I’ve seen worse from some of our longtermers at the end of a year of use – so I’ve no complaints about the beauty of my 996, which celebrated its 13th birthday this week. Excellent condition aside, it’s the originally that helped to close the deal. The cans have been changed for thunderous carbon SilMoto ones, the mirrors are genuine colour coded ones, a carbon hugger has been added, and a taller screen fitted. That’s it. And I’ve got all the original parts too – which are also in excellent condition. It even came with all the original books, both keys (one of which has never been used, and still hangs from the supplying dealer’s leather fob), and a patchy history – which is the only let down. I’ll be giving it a full service, new belts, and a fresh pair of boots before I go anywhere on it, and while it’s not going to be a total garage queen, it won’t be seeing salt, and will only see rain if we get caught out. I’m not going to ruining its originality either. This will either be the beginning of something beautiful – or the most fantastically attractive nightmare. I’ll keep you posted. Mates mate, bought a ‘Foggy’ rep a few years back. Kept it 2 years and did around 200 miles on it. He mainly kept it on paddock stands and just listened to it in his (purpose built) garage as he hadn’t a drive the bike was the only thing that’d get down the side of the house.